WASHINGTON — She’s written some of your favorite TV episodes, from Netflix’s “Orange is the New Black” to Showtime’s “Shameless,” with a string of successful stage plays in between. Now, Molly Smith Metzler brings her play “Cry It Out” to Studio Theatre, now through Dec. 16. 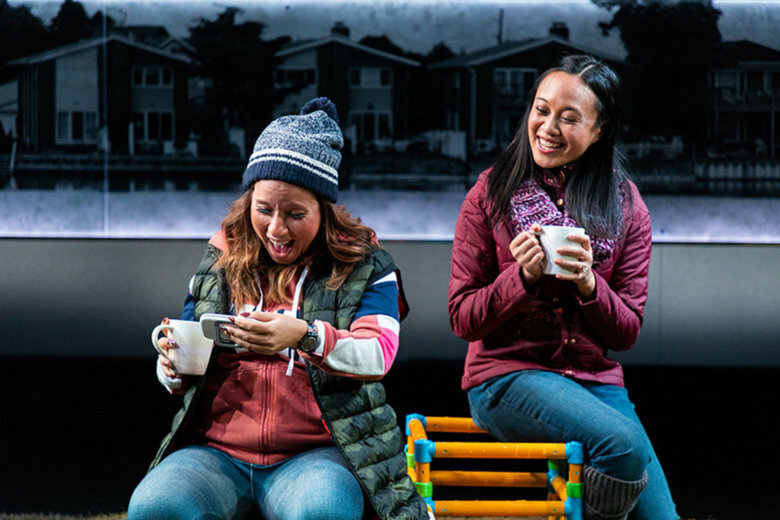 Set in Port Washington, Long Island, the play follows two new mothers, Jessie (Emjoy Gavino) and Lina (Dina Thomas), who bond over baby monitors and decide to meet in person. The story of new motherhood is inspired by her own life experience. In the script, her two characters have vastly different backgrounds. On the one hand, we have Jessie, a wealthy and accomplished corporate lawyer. On the other hand, we have Lina, a blue-collar woman who failed out of community college. Together, they bond over a range of topics, from sleep deprivation to unreliable childcare. Metzler loves to explore the social commentary of class divisions. Metzler herself used to live in Port Washington, hailing from the Hudson Valley of New York. After years of bi-coastal writing, she moved to Los Angeles in 2016. From there, she began writing for Showtime’s “Shameless,” starring William H. Macy. She finds that her playwriting informs her television work, and vice versa.